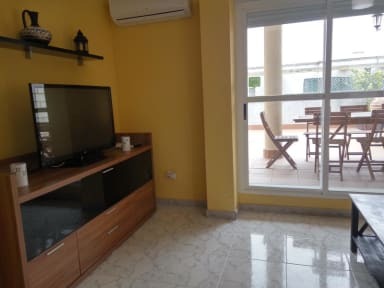 Apartments with one, two and three bedrooms, living room, kitchen, bathroom equipped with everything necessary for holiday stays. We have a vast experience in the hospitality sector as well as a great knowledge of the area. We are located in the rural town of Casar de Caceres, eight km away from the city of Caceres and which is famous due to the fabrication of the well renowned cheese 'Torta del Casar'. In addition, from our faciltiies you an enjoy the very best of the town as well as going to Caceres to discover and enjoy the city. 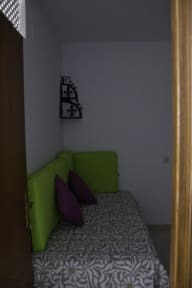 We have several apartments with several capacities. All of them are fully equipped to provide the guests and travellers with a great atmosphere and all the services to ensure a great stay. Thy will have to enjoy the very best of Caceres in our facilities. Please, contact us beforehand to agree a certain check in and check out time.